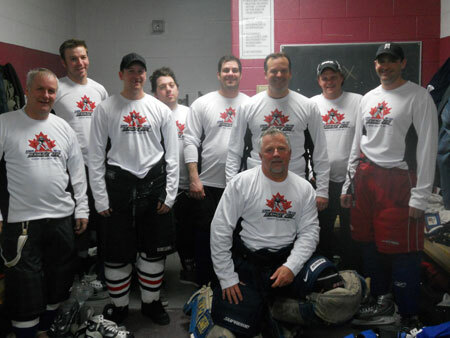 On February 19th, SMS Rents sales staff enjoyed their just rewards as they and their teammates counted themselves among the winners at the 21st annual Skate 48 hockey tournament in Kitchener, Ontario. Coming out on top of a 5-3 score in their second game of the tournament, the Form & Build/SMS Rents team was treated to a prize beef-on-a-bun dinner at the post-game party. Their opponents, however, had to be satisfied with hot dogs and the satisfaction of losing their game to a winning cause. As per the tournament rules!